Dealing with an unhappy patient can be both humbling and frustrating at the same time. Depending on the situation, you may be feeling empathy for them as they vent their frustrations or you might find yourself feeling hostility as they insist upon letting you know just how unhappy they are at the moment. 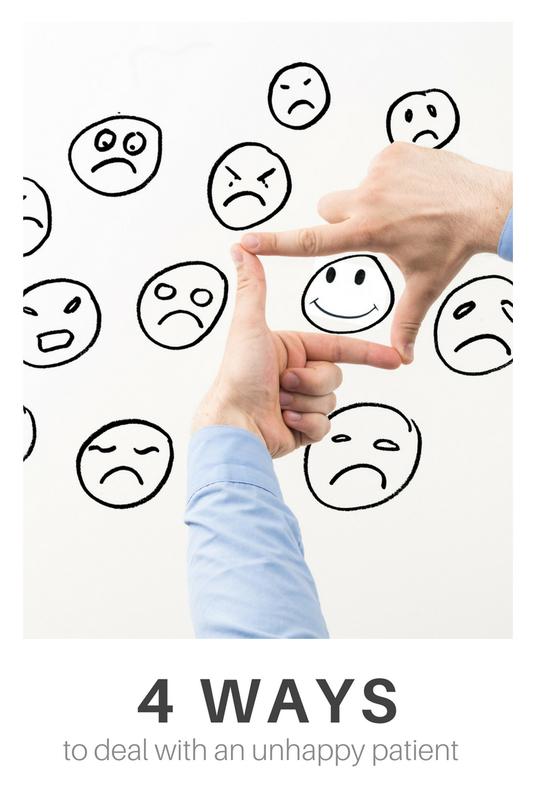 At some point in time, we all encounter the unhappy customer or patient. These conflicts are not always easy to avoid, but how those situations are handled can speak volumes about you and the practice. Personal experience has taught me that the best thing to do is to remain calm and do your best to understand the situation. Sometimes, the patient just wants to tell someone what is wrong – they may not even expect you to provide an answer to the problem. Below are some suggestions on how to handle those situations and give the patient the empathy they are in search of. Make sure that you are listening attentively to the patient. Having patience and avoiding the need to interrupt shows interest and the patient will feel that you care about their reason for being unhappy. Showing concern for the patient by acknowledging them is also a key indicator that you are listening. Verbal and nonverbal acknowledgements, such as saying “I understand” or simply nodding your head, add value to the conversation. A great way to understand the situation is by gathering more information. You can do this by asking questions and clarifying what you heard.This gives the patient more time to relay their concern. Although you may not always have a solution at that particular moment, it is still important that you have some type of follow-up plan. Even just sharing their concern with a decision maker can be enough for the patient to feel understood. Hopefully, these suggestions will help you to find a level of understanding and handle any situation with an unhappy patient. Have you found any other approaches or tips to be useful? Let us know in the comments below!